Who has not seen The Matrix? It’s the Gone with the Wind and Star Wars of our era, a phantasmagoria in black leather open to multiple readings that was already being described as mind-bending and complex before it even debuted. From this distance it all seems as clear as water – Mr Anderson (Keanu Reeves), a disaffected slacker/hacker is invited to visit another plane of awareness, from which vantage point he can see that the plane he once inhabited, what he thought of as the “real” world, is in fact a construct, assembled by a computer program. Strip away the program and in the real “real world” humans are being grown in tanks and harvested like battery chickens. This, Mr Anderson realises, is a bad thing. The Matrix isn’t difficult in terms of plot – an eight-year-old can grasp it with ease – but it’s its openness to interpretation that gives it its power. The notion of the real world being a construct is familiar to anyone who’s read Marxist theory – it’s the idea of “false consciousness”, that we can’t see the world for what it is because we are labouring with the wrong set of ideas. “It is the world that has been pulled over your eyes to blind you from the truth,” as Morpheus (Laurence Fishburne), the guide to this new way of seeing things, puts it. Add to the philosophical interpretation the religious one, with Mr Anderson aka Neo (an anagram of One) as Jesus, Trinity (Carrie-Anne Moss) as his Mary Magdalene embarking on a “look but don’t touch” relationship with the saviour. Then again there are the obvious parallels with Alice in Wonderland – Neo in a world turned upside down, “tumbling down the rabbit hole” (Morpheus again). While we’re about it, let’s just mention in passing that Morpheus is the god of dreams from the Roman poet Ovid’s Metamorphoses – his Book of Transformations. 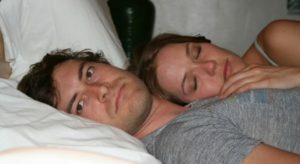 And now, years later, with the revelation that one of the film’s directors has changed name from Larry to Lana and is identifying as female, the whole aspect of Neo’s reprogramming, the chasteness of Neo and Trinity’s relationship, their similarity in looks suggests yet another interpretation – that they might indeed be a gender-flip of the same person? No? 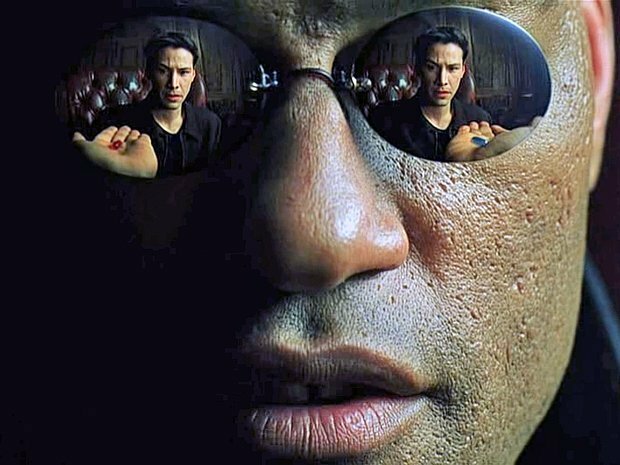 Fanciful or not, it’s The Matrix’s openness to re-interpretation that keep it watchable. It’s as easy to pick holes in the film as it is with The Wizard of Oz (another fable of transformation and awakening) – the strangely slow speech of Morpheus and Hugo Weaving’s Agent Smith, for instance, or the fact that, at bottom, The Matrix is an adolescent wish-fulfilment fantasy complete with portentous, “and then I save the world” plotting. Yes it is a fantasy, but the fantasy is perfect, complete – Neo quite literally goes on a journey from total ignorance of the world he lives in to complete knowledge of the entire universe. As for the sequels – they were made for financial reasons rather than artistic ones. The computer program got the upper hand there. Trivia: A computer hacker learns from mysterious rebels about the true nature of his reality and his role in the war against its controllers.